(CBS/WCBS) NEW YORK - There was mob history in Brooklyn federal court on Tuesday. For the first time, the boss of one of New York's five families testified for the government. The proceedings in the downtown courthouse had all the flavor of a Hollywood mob movie as former Bonanno crime family boss Joseph Massino, who was imprisoned for murder and racketeering, got a pass from his life sentence to testify for the government, reports CBS affiliate WCBS. "Big Joey" took the stand in the federal murder and racketeering case against his former right hand man, Vincent Basciano, also known as "Vinny Gorgeous." He's charged in the killing of a mob associate, Randolph Pizzolo, in Brooklyn in 2004. Massino testified: "He told me that he had him killed." Massino was referring to a jailhouse conversation he said he had with Basciano while the boss-turned-canary was wearing a wire. Massino quoted Basciano as calling the dead man "a rat, a troublemaker, a bad kid." The dapper defendant, dressed in a well-tailored gray suit, sat chewing gum and could be seen mouthing the words "not true" to his lawyers. The prosecution spent much of the day having Massino recount in gruesome detail his own history of mob hits and the mafia's so called code of honor. Massino said fear of wire taps led him to insist family members never utter his name; instead touching their ears and saying that guy wants to see you. At another point the prosecutor asked Massino's opinion of the movie "Donnie Brasco," a question quickly shot down by the judge. But the government's use of Massino may carry some risks, according to long-time defense attorney Barry Slotnick. "The fact of the matter is, when somebody takes the stand and says, 'I'm a mob boss. I've killed eight people, maybe more...I've done all sorts of terrible things...and that person sitting at the defense table was following my lead,' the jury's gonna look at that and think is he testifying that way to avoid the death penalty?" Slotnick said. And the judge in the case, Nicholas Garaufis, is part of the story. Prosecutors had said Vinny Gorgeous at one time wanted to have him killed, too. The drama is expected to continue. Prosecutors plan to play actual audio tapes for the jurors of conversations between Massino and Vinny Gorgeous. That audio presentation could come as early as Wednesday. The 50-year-old defendant faces the death penalty if convicted of racketeering, murder and other charges. He is already serving a life term for a conviction in a separate case in 2007. 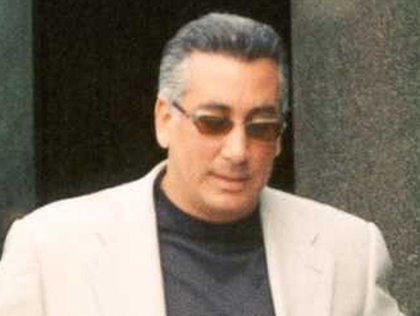 Prosecutors say Basciano - the one-time owner of the Hello Gorgeous beauty salon known for his explosive temper - rose to his leadership role after a series of Bonanno defections and successful prosecutions decimated its leadership.